B&W photograph, 18 x 12.3 cm. Signed and dedicated. 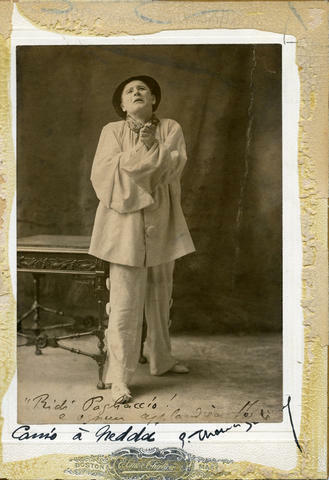 Eustase Thomas as Pagliacci.